Creating a relationship with yourself is the most important relationship you’ll ever create. How? It’s the foundation for all intimate relationships. When you show up for yourself, you can show up for others. When you’re ready to fall in love or meet that special person, you’ll know exactly who you are. It makes navigating dating and relationships much easier. Think of building the relationship within as you would treat your BFF. You’re there for her when she gets upset, give her a shoulder to cry on and support her to go out there and be her best. Sometimes the biggest challenge is treating ourselves with that same type of compassion. It’s easy to fall into a place of self-criticism. At times insecurities and fear speak so loud they feel a part of us. But they don’t have to and there are effective ways to build the relationship within. What are some of your favorite hobbies? The older we get and the busier we are. As a result, we tend to neglect what brings us joy, and it’s ok not to know what exact activities you enjoy. Finding a way to get out there and be a part of something positive can help build a deeper connection within. Create a list of hobbies you once enjoyed or that you’d like to do. Circle two that resonate with you and set out to do it. Doing this helps separate the negative from who you are, so you can own the positive. It’s ok if you don’t fully believe in your “I am” statement. The longer you make it a practice and visualize yourself becoming it, the more it will begin to sink in and resonate with you. You only have one body your entire life, so you might as well take the best care of it possible. Learning ways to nourish your body through movement and eating is key to longevity. There is real science behind eating nutritious foods that are proven to help brain function. As for movement, it’s important you find something active you enjoy. So if the gym isn’t your thing that’s ok. Sometimes going for a walk or swim can be great ways to get out and about. Whatever it is make sure it is something you enjoy! When was the last time you truly took a moment to pamper yourself? When you take a moment to do something nice for yourself, it helps build appreciation within. It’s ok to take a break and enjoy some R&L. And sometimes self-care can be thought of as taking care of doctors appointments, taking breaks when life gets crazy, and staying on top of your daily tasks. It doesn’t always have to be at a fancy spa. Although that is a nice break too. Take action on what you want and stop just talking about it. When you let the fear speak louder and hold you back from your purpose, then it creates a disconnect within. This then links to not feeling like you know who you are. Create a goal plan for yourself and be realistic. It’s easy to feel eager, go all in, burn out and not finish. Instead, try to come up with an end date first and then work backwards, creating a schedule. This will help you stay organized. Completing goals is a natural self-confidence booster. What’s your biggest struggle when it comes to building your relationship with yourself? Let’s talk in the comments! Carla Romo is a certified Dating & Relationship Coach. 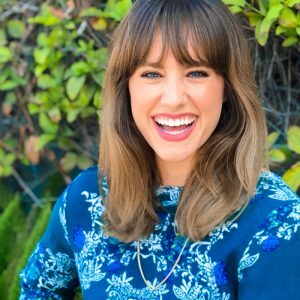 She helps women who feel stuck build purpose and confidence in their dating life, relationships, and breakups.